Figure 1.177. A close-up of the lesions in the lumbosacral and gluteal areas in die same infant as in Figure 1.176. Figure 1.176. The multiple pigmented nevi involving the scalp and trunk in diis infant are characteristic of the neurocutaneous melanosis sequence. There are dark pigmented multiple nevi, which are sometimes hairy and are more extensive in a bathing trunk distribution over die lower trunk, abdomen, and lower thighs. There may be leptomeningeal involvement with nests and sheets of melanoblasts, most striking at die base of die brain. 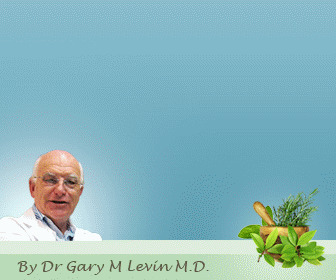 This may lead to hydrocephalus, seizures, and deterioration of central nervous system function. In these cases, cells containing melanin may be detected in die cerebrospinal fluid. Figure 1.178. 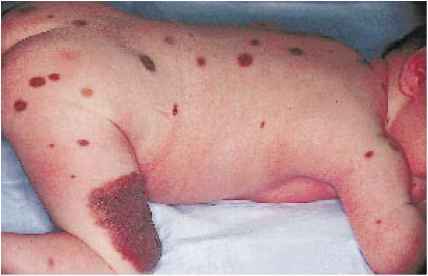 Another infant with the neurocutaneous mel-anosis sequence. The finding of a single giant nevus with numerous satellite lesions is not uncommon in this disorder. Cutaneous melanosis is evident at birth and central nervous system function may be normal initially, but seizures and mental deterioration occur later. 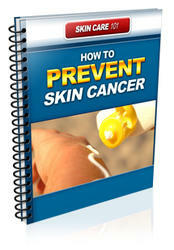 The risk of malignant melanoma degeneration is 10 to 15%. Figure 1.179. Mastocytosis (urticaria pigmentosa) is a mast cell infiltrative disorder which presents at birth or develops during the first few weeks of life. 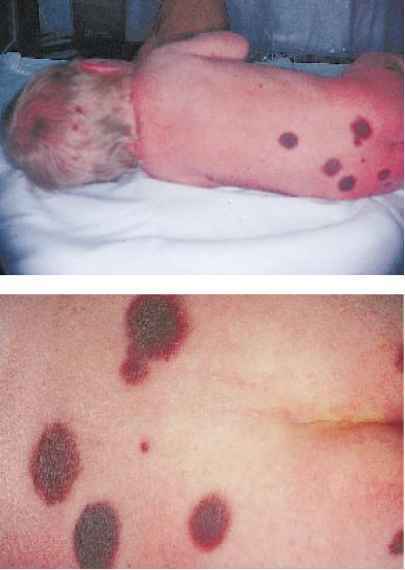 The lesions may be solitary or in groups, as in this infant. Macules, papules, nodular lesions, vesicles, and bullae may all be signs of mastocyto-sis. They vary in color from a slightly reddish appearance to a tan or brown appearance. 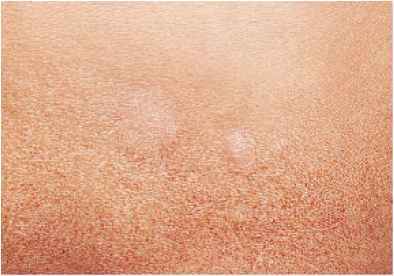 Spontaneous remission of the skin lesions usually occurs. Skin biopsy shows mast cell infiltration.